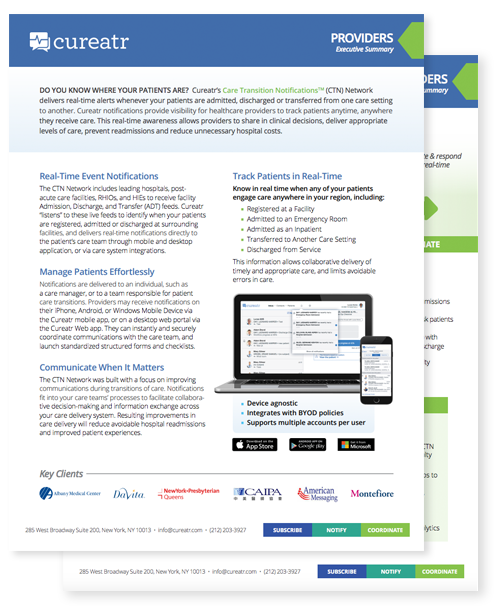 Cureatr’s Care Transition NotificationsTM (CTN) Network delivers real-time alerts whenever your patients are admitted, discharged or transferred from one care setting to another. Cureatr notifications provide visibility for healthcare providers to track patients anytime, anywhere they receive care. 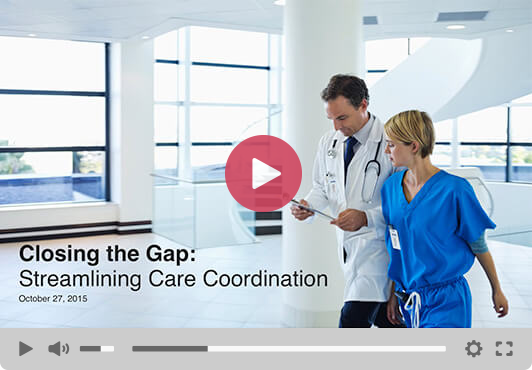 This real-time awareness allows providers to share in clinical decisions, deliver appropriate levels of care, prevent readmissions and reduce unnecessary hospital costs. Improve clinical outcomes and meet quality reporting requirements. Complete the form to learn more about what Cureatr can do for your providers.